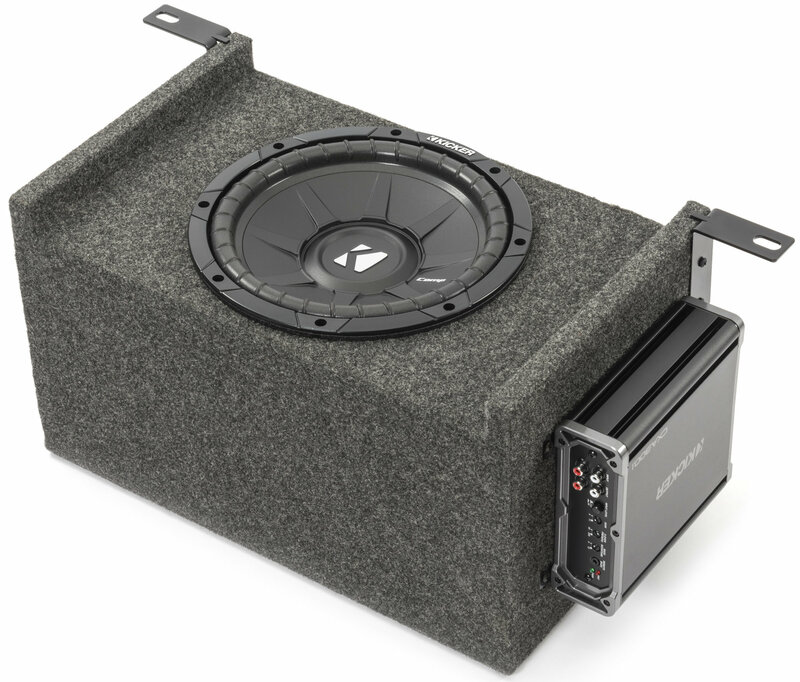 Upgrade the stereo in your Jeep Wrangler YJ or TJ with the Quadratec Custom Rear Subwoofer Kit with 10" Kicker CompS Subwoofer. This custom-made Wrangler specific kit directly bolts into place behind the rear seat using existing cargo loop bolts. No cutting, drilling, or other modifications are required for installation. A remote bass controller is also included with this kit for for easy level adjustment (Kicker part number CXARC). The JWSUBK10 is assembled right here in the USA, and carries a 1 year warranty. Easy Install: No drilling or modifications are required. The subwoofer box mounts to the factory footman loop bolts on the floor behind the rear seat. Jeep Specific Design: This kit is tuned specifically for use with Jeep Wrangler YJs and TJs. 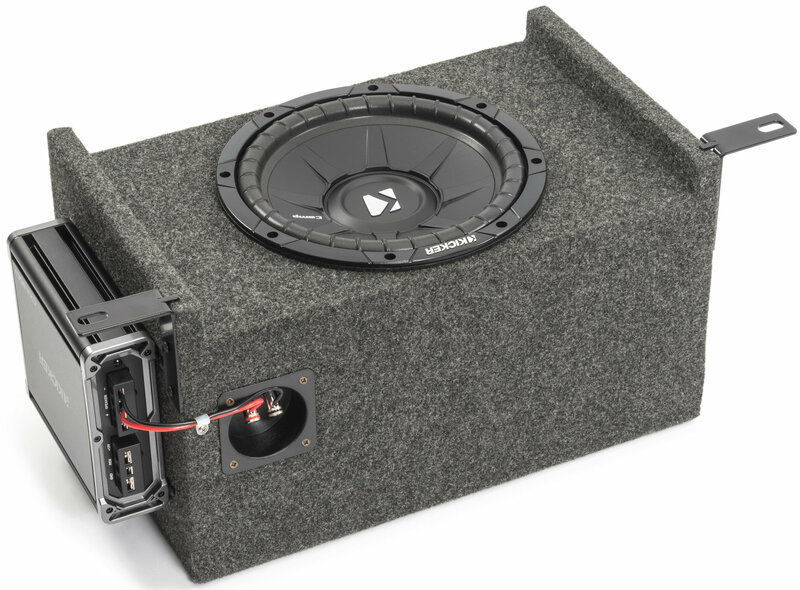 Awesome product, for a single sub, the bass hits hard, the box fits perfect in the trunk and has all the supplied hardware to bolt it down, and also the customer service is amazing, as my first time installing and wiring a sub, i called up the number on the directions and was walked through basically the whole thing and he even helped me tune my system.